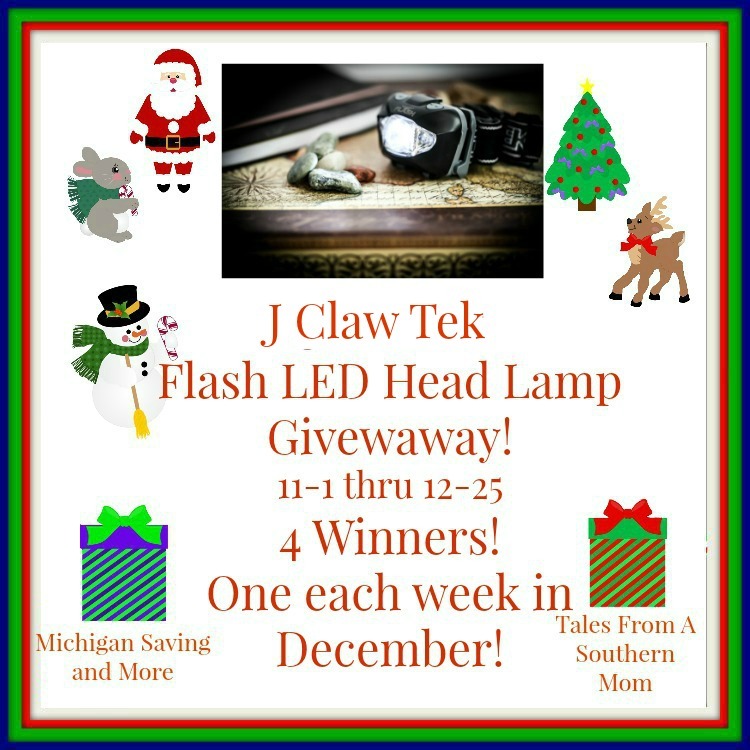 We're giving away four JClaw Tek LED Head Lamps, one each week of December. Long entry period here for the holidays. Continental US only entrants. 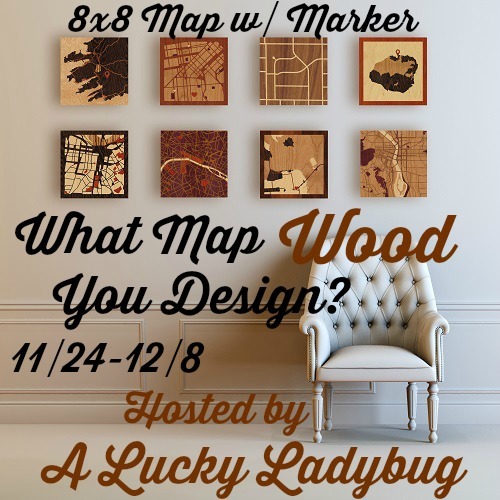 You have through 12/25 to enter. Good luck. 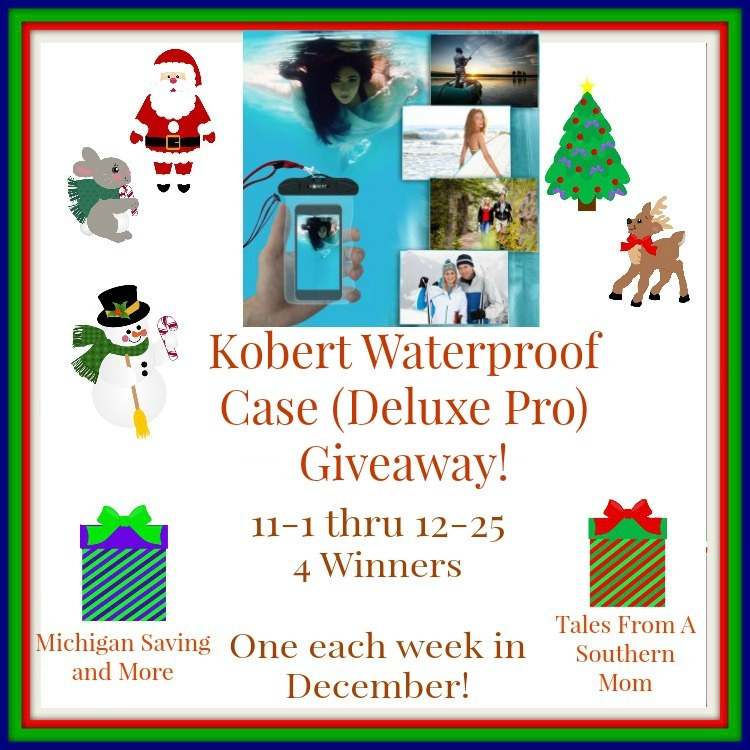 We're giving away four Kobert International Waterproof (Deluxe Pro) Cases, one each week of December. Long entry period here for the holidays. Continental US only entrants. You have through 12/25 to enter. Good luck. 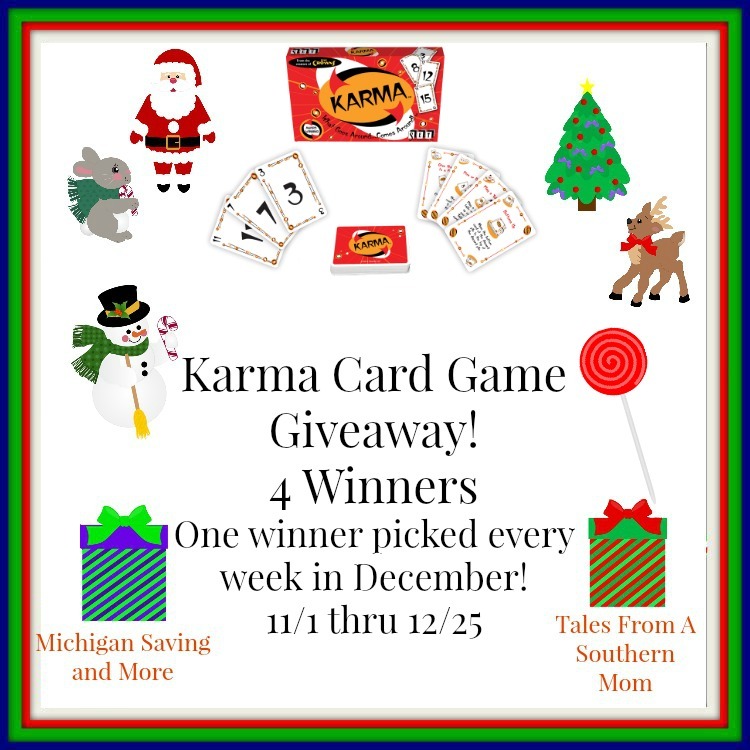 We're giving away four Karma card games by Set Games, one each week of December. Long entry period here for the holidays. Continental US only entrants. You have through 12/25 to enter. Good luck. Do you like to go camping? 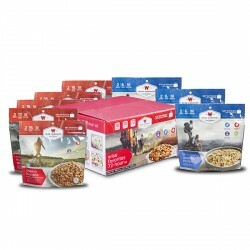 Or, do you have or want a long term food kit in case of an emergency? Until my son is a little older, we're not big campers yet here. We do however have that prepper stash. Spam and Twinkies can only go so far. 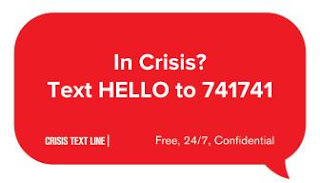 We have lighting and water covered, but if you have a long term power outage, you need food. The same goes for camping, especially long distance hiking. You need to be able eat. I recently had the chance to try out what the Wise Company has to offer. 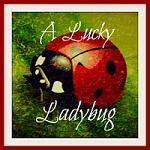 Read to the end for a free sample offering. Long shelf life is good for the prepper but the camper wants something lightweight, tastes good, and of course can be prepared over a camp fire. And... you don't want to open up a three month food supply just for a weekend outing. While Wise certainly does have a handle on the long term preparedness items, I got to try out their short-term offering. 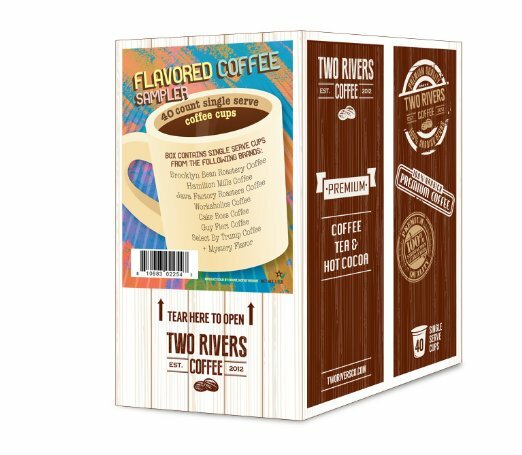 Their Freeze Dried Camping & Backpacking Food Favorites is perfect for a 72 hour adventure where it includes 6 entrees and 3 breakfast meals. These are the same or similar offerings meant more for the long term survival packaging. 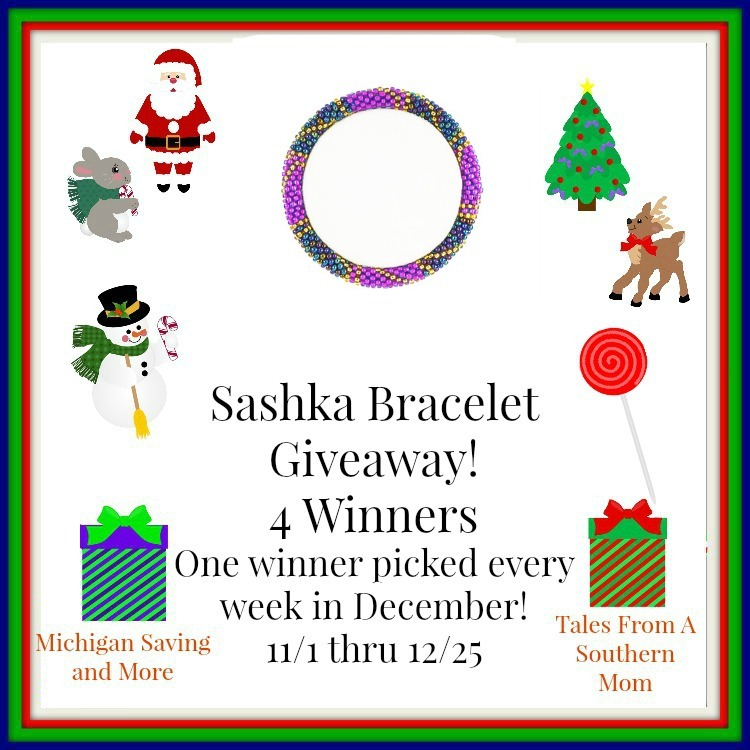 We're giving away four Sashka bracelets, one each week of December. Long entry period here for the holidays. Continental US only entrants. 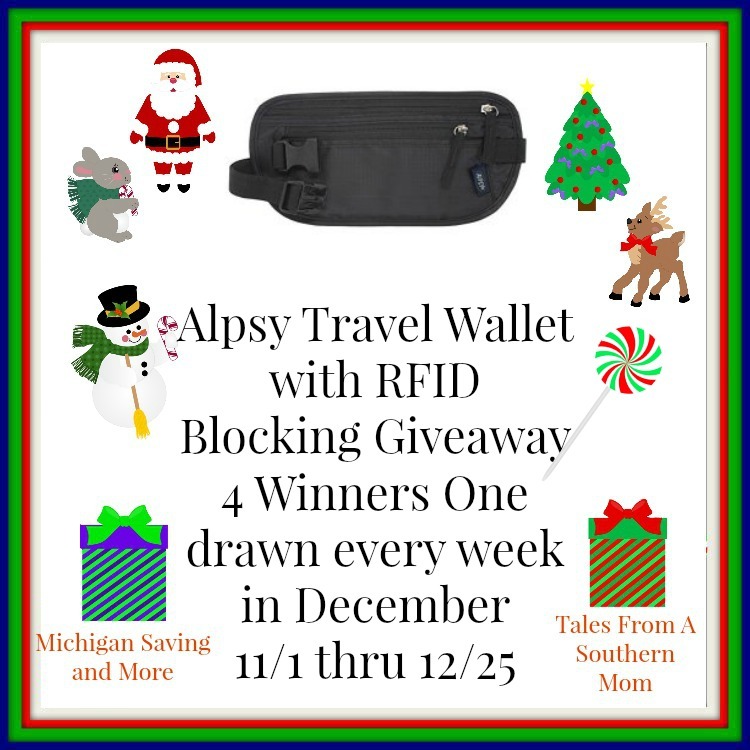 You have through 12/25 to enter. Good luck. 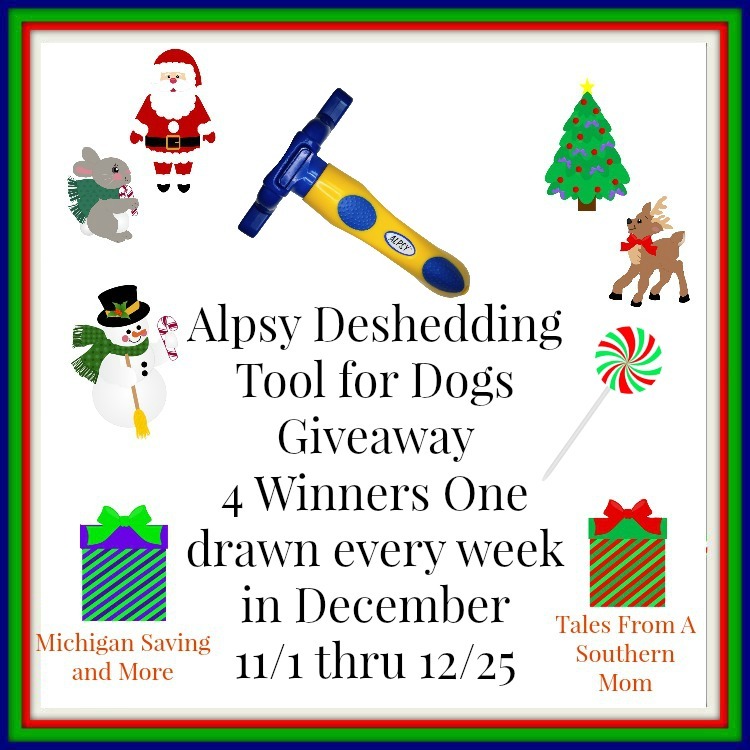 We're giving away four deshedding tools, one each week of December. Long entry period here for the holidays. Continental US only entrants. 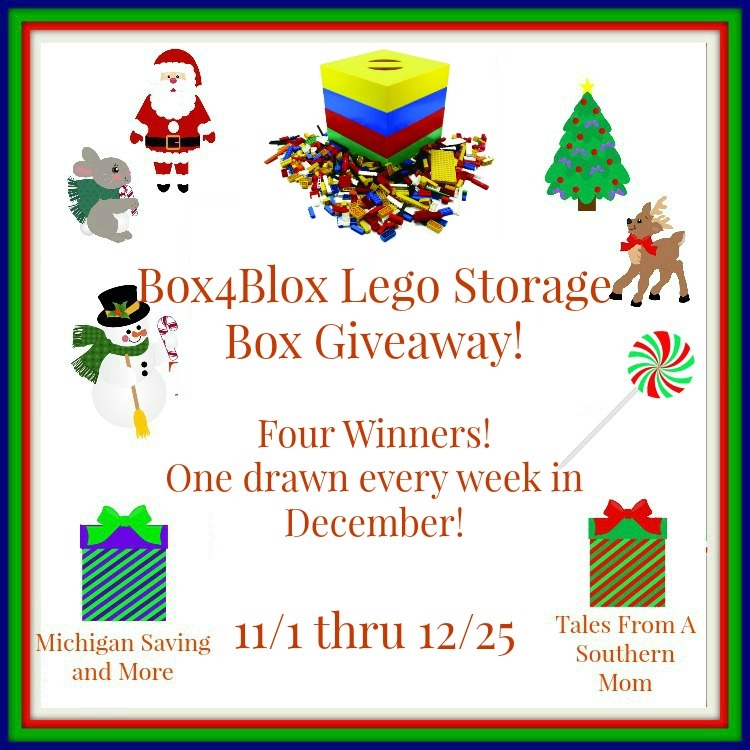 You have through 12/25 to enter. Good luck. 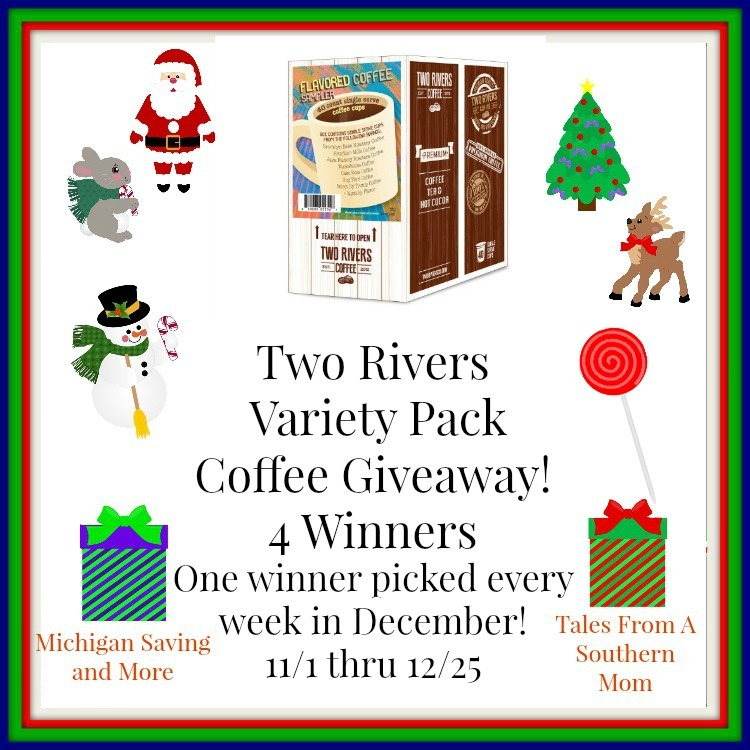 We're giving away four variety packs of coffee from Two Rivers, one each week of December. Long entry period here for the holidays. Continental US only entrants. 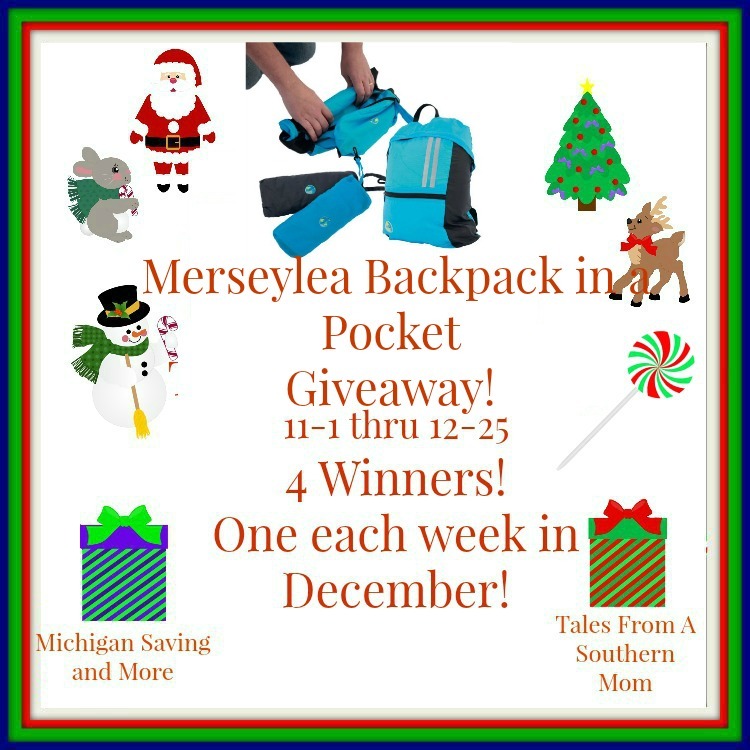 You have through 12/25 to enter. Good luck. 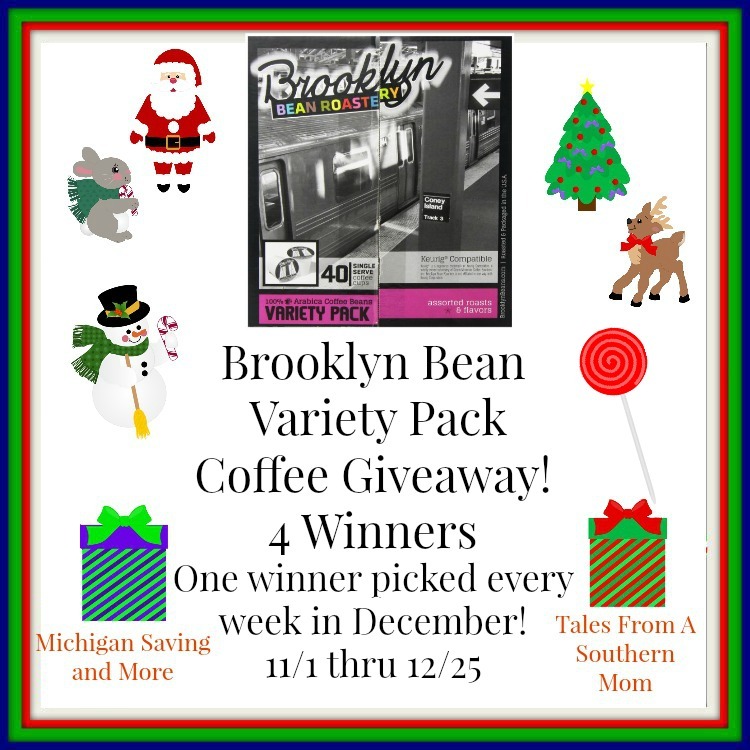 We're giving away four variety packs of coffee from Brooklyn Bean Roastery, one each week of December. Long entry period here for the holidays. Continental US only entrants. You have through 12/25 to enter. Good luck. 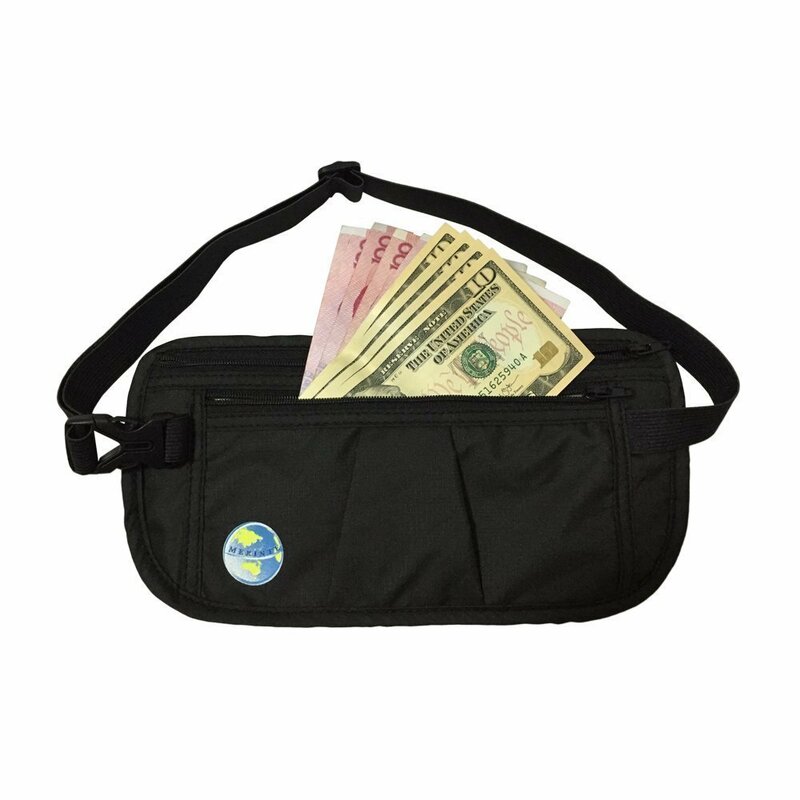 I like helping promote the various pet giveaways. 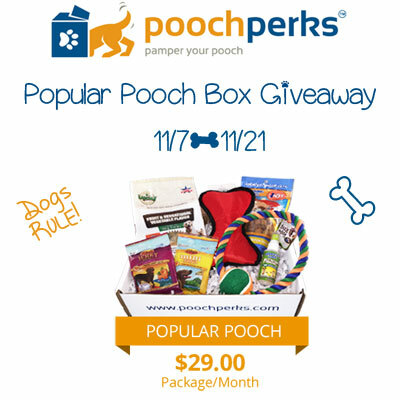 This time it is for one of those subscription boxes, this time for a dog. 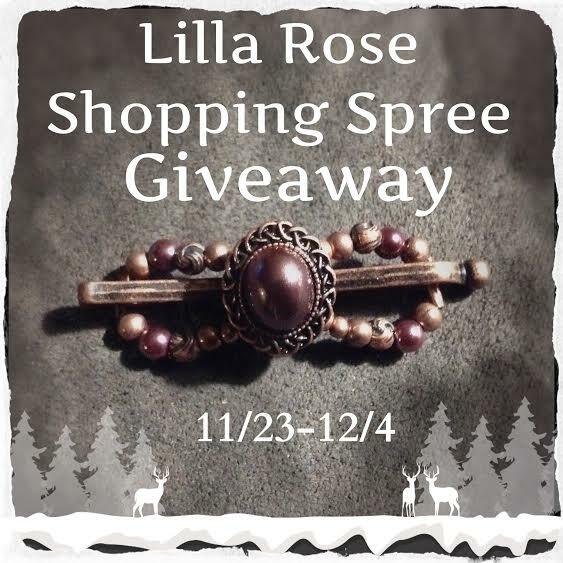 US residents have through 11/21 to enter. Good luck. 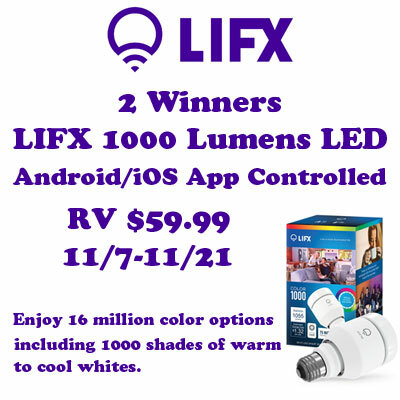 I recently did a review of the LIFX bulb. 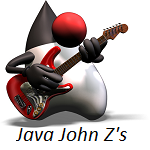 Here's your chance to win one of your own. Giveaway is open to US residents. 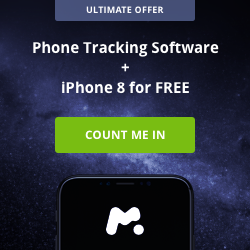 Ends 11/21. Good luck. 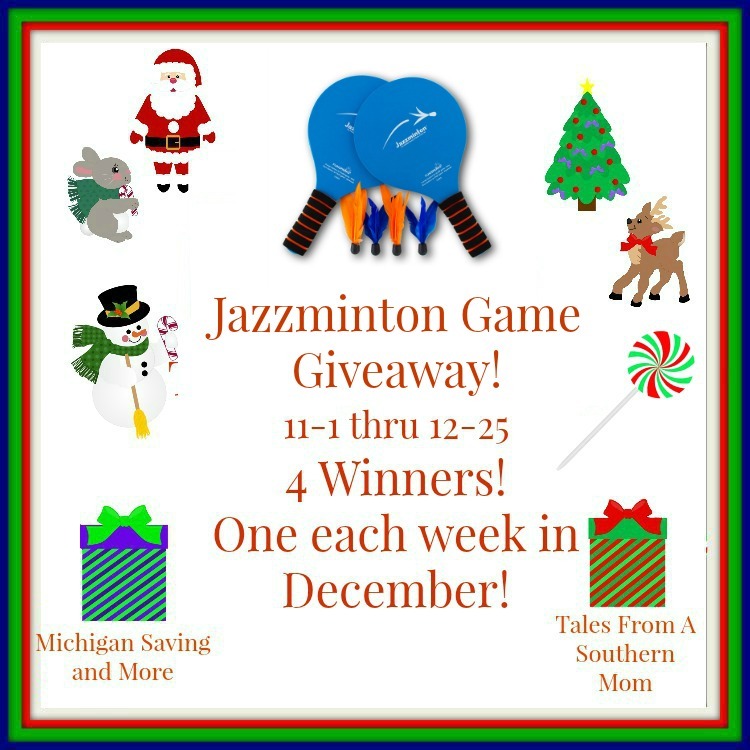 We're giving away four Fun Sparks Jazzminton Games, one each week of December. Long entry period here for the holidays. Continental US only entrants. 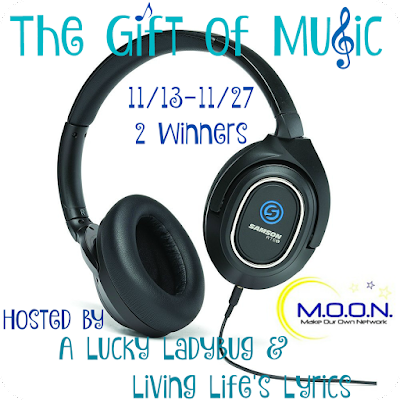 You have through 12/25 to enter. Good luck. 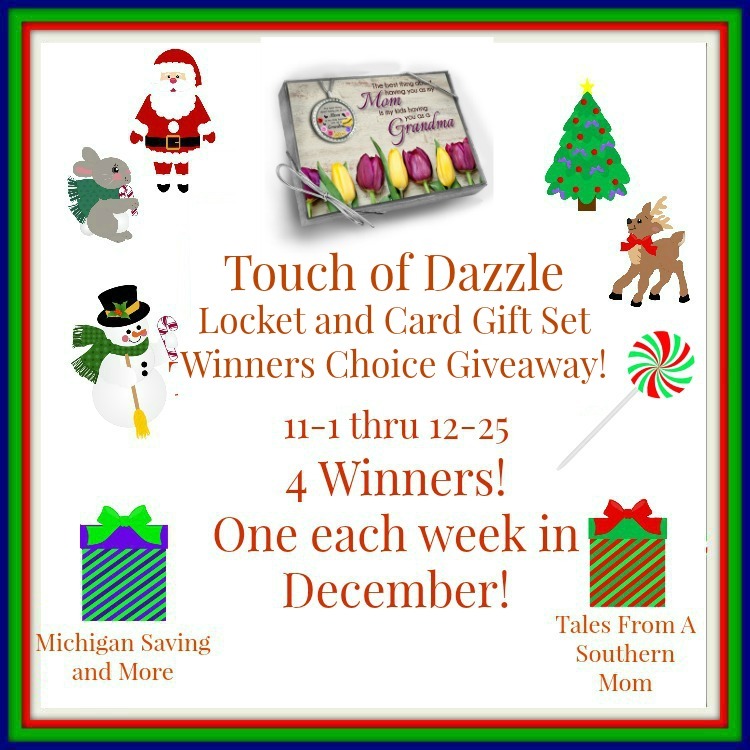 We're giving away four Touch of Dazzle locket and gift card sets, one each week of December. Long entry period here for the holidays. Continental US only entrants. 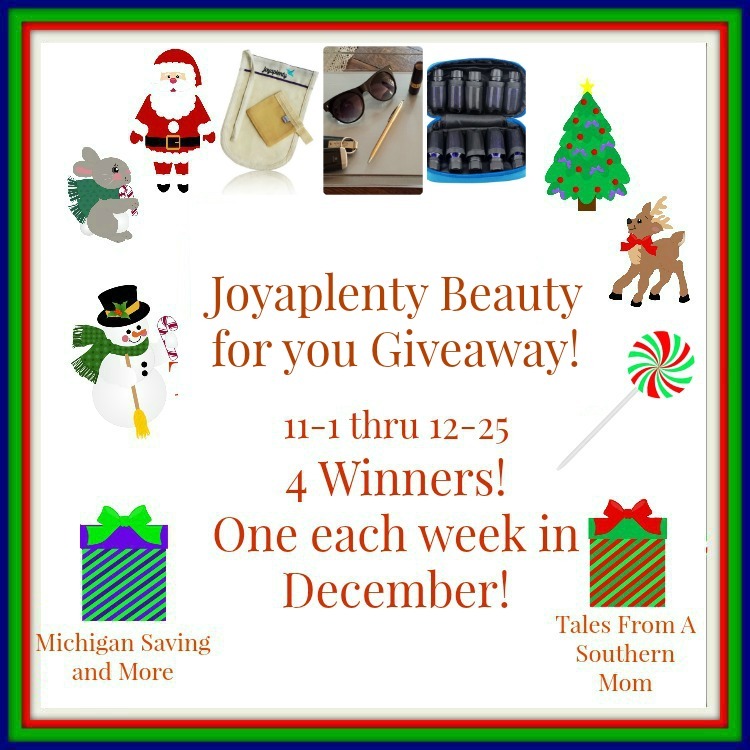 You have through 12/25 to enter. Good luck. 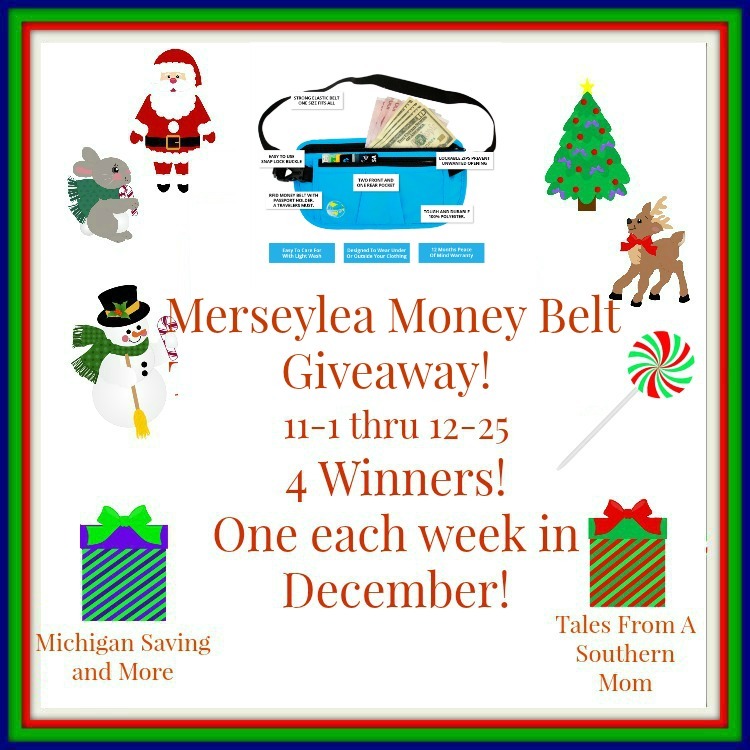 We're giving away four Merseylea Money Belts, one each week of December. Long entry period here for the holidays. Continental US only entrants. You have through 12/25 to enter. Good luck. Real quick giveaway here if you want to Netflix and chill. Giveaway is open to US residents and ends on 11/13. Good luck and enjoy movie night if you win. With Halloween just over, what better time to do a candy giveaway. We have goodies from Gimbal/s. 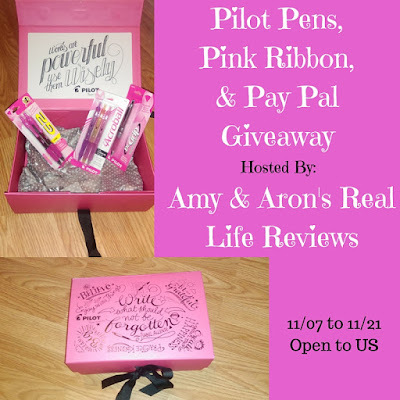 US residents have through 11/19 to enter. Good luck and don't forget to brush. 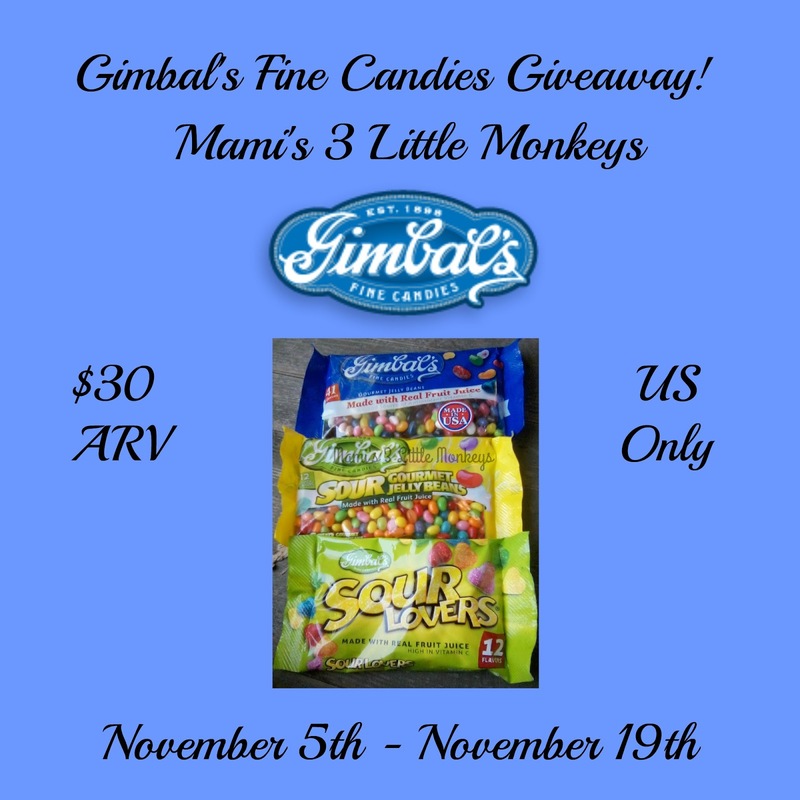 Welcome to the Gimbal's Fine Candies Giveaway! Gimbal's Candies are Allergy Friendly! Gimbal's candies are allergy friendly, they are 100% free of peanut, tree nut, gluten, dairy, soy and egg. These ingredients are responsible for countless allergic reactions across the nation. We love Gimbal's since they are safe for Ezio. He is allergic to tree nuts, peanut, egg, coconut, sesame, cinnamon, and a few others so we are very thankful for companies who take allergies into consideration when creating their products. Whether or not yourself, your child or other family members have food allergies, you will enjoy Gimbal's Fine Candies. Our whole family greatly enjoy Gimbal's and I love that it's something I can give the kids and not have to closely monitor to make sure Ezio doesn't get ahold of them and then proper clean up is done. 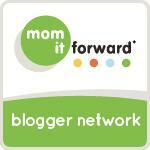 Takes the stress away from snack time for this mom for sure! 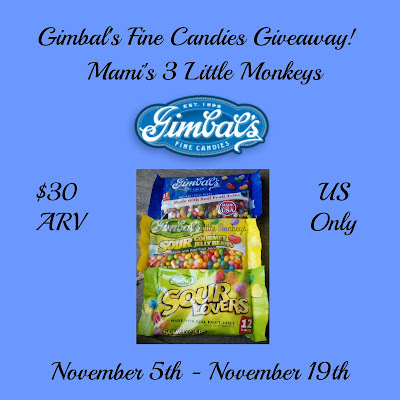 Read our full review of Gimbal's Fine Candies here. 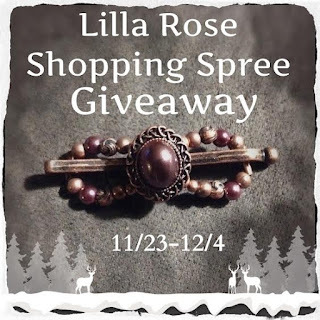 We're giving away three different items, one twice,, one each week of December. Long entry period here for the holidays. Continental US only entrants. You have through 12/25 to enter. Good luck. 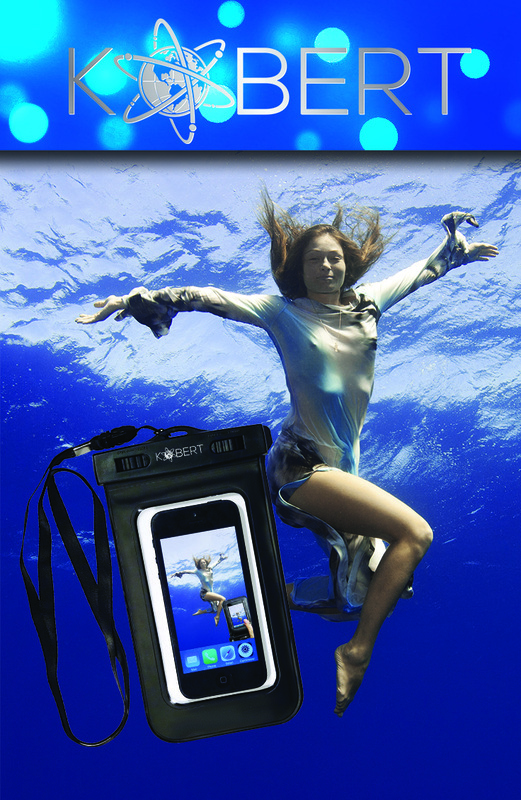 We're giving away four of these, one each week of December. Long entry period here for the holidays. Continental US only entrants. 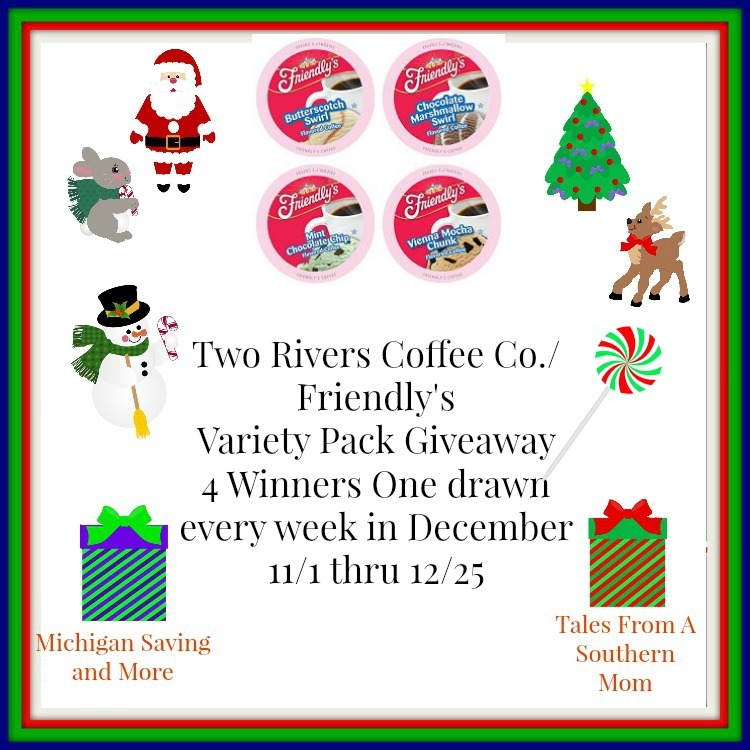 You have through 12/25 to enter. Good luck. Tomorrow's the big day. 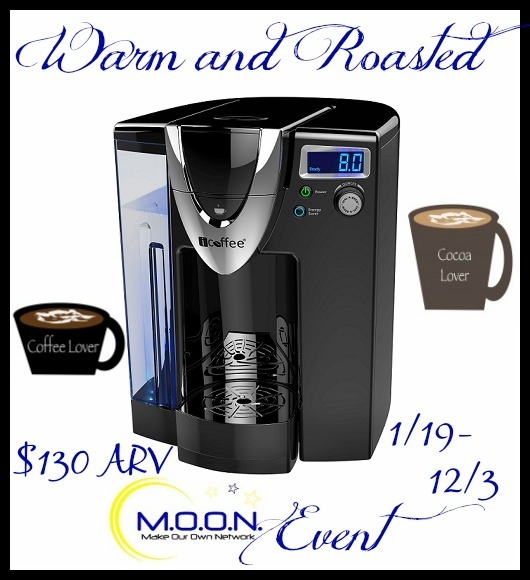 Be sure to stop at Best Buy between 1 and 5 pm for their special holiday shopping event. 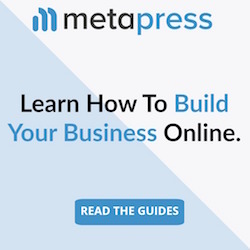 Find a store near you under Store Locator. Free Tech Gift for the first 100 customers at each store. Preview and shop the Holiday Collection from the biggest brands including Apple, Microsoft, Samsung and Sony. There will be exclusive offers from these brands and more! You'll find experts available to answer all of your questions and help you find the perfect holiday gift for that special someone. To get away from all the giveaways going on, I thought I would highlight a show coming to Boston's Shubert Theatre November 28th. Sounds like a good show. It's "CSI: Bethlehem" in this holiday mystery extravaganza, from the author of Late Nite Catechism, as Sister takes on the mystery that has intrigued historians throughout the ages - whatever happened to the Magi's gold? ("We know that Mary used the frankincense and myrrh as a sort of potpourri - they were in a barn after all.") Retelling the story of the nativity, as only Sister can, this hilarious holiday production is bound to become a yearly classic. Employing her own scientific tools, assisted by a local choir as well as a gaggle of audience members, Sister creates a living nativity unlike any you've ever seen. With gifts galore and bundles of laughs, Sister's Christmas Catechism is sure to become the newest addition to your holiday traditions.